Hearing the “We’ve got good news and bad news for you” from the ER doctors sent me right into a tailspin. My first thought was, What could be good about hearing it’s brain cancer? As my husband lay in a coma, I said, “Frank, please come through this. I’m not ready to let you go.” Maybe that was selfish of me, but it was my heart’s truth in that moment. What did I know about brain cancer? I drove back at 4am, my mind racing 1,000 miles a minute; I was thankful my car knew the way home. As soon as I got in the door, I turned on the computer and typed the words “brain tumors.” Up popped The Musella Foundation for Brain Tumor Research & Information, a nonprofit dedicated to helping brain tumor patients. It was right here in our area, who knew? I sent an email and Dr. Musella answered immediately laying out an action plan for me. Without his help, I would have been lost in a maze of uncharted territory. This connection was my lifeline to navigating Frank’s care. It was also my entry into social media support. As time went on, I joined the online support group and Facebook page. I started posting every question that came to mind and questioning everything the doctors told me about treatment options. The amount of support I would garner was amazing. It’s been five years since Frank’s passing and I am still in contact with several members of the group. I could not have survived my plight as “caregiver” without this support. I accepted a once in a lifetime opportunity to contribute to Dr. Musella’s book, Brain Tumor Guide for the Newly Diagnosed, with all proceeds earmarked for research. Cancer brings lots of adjustments. I am not the same person I was before cancer entered my life. That is a feat in itself. One thing I know for sure: cancer makes you humble. Years later, I had to have a visit at the hospital. I knew there was no history of cancer in my family and that I was healthy. When I was told that I’d need a biopsy, I accepted it. When the call came that the biopsy was positive and I would need a surgeon, I was not phased. My significant other at the time remarked that I was taking the news extremely well. I replied, “What choice do I have?” He didn't know the truth, that the world of cancer was not a stranger to me. Those who know me say that although I have a private side, I’m very straightforward and that I’ve never shied away from telling it like it is. I rarely ask for help and I didn't want to be a burden just because of a cancer diagnosis. So I turned to the breast cancer community, naturally. Once again, I found myself in awe of how many people I can connect with who are willing to become a source of strength and encouragement. That's not to say it can replace having family and someone special offering hugs as you handle the ordeal of surgery, treatments and recovery, but it’s the next best thing. Is social media right for you? Well, cancer journeys are as unique as you are. Everyone deals with their diagnosis differently. When we enter that arena the first thing we need to decide is: “Do I want to share my story in a very public forum with people I’ve never met?” Once you post online, it’s there permanently for the world to see. Personally, documenting my story has always been a free form of therapy; it’s how I deal with life changing matters. How and what I share takes on a different face each time I do it. Sometimes I need information to end my confusion. Sometimes I’m scared and need support. Sometimes I’m angry at the world and need to vent to those who understand. But the most beneficial aspect is to be able to laugh-- to see the bright side of life when I’m surrounded by gloom. This can only be done by people who understand what I’m going through. How do you use social media with your cancer journey? Let us know in the comments below! Photo courtesy of Bonnie Kittle. Maryann is a mom to two sons and daughter-in-law’s and also a grandma. Cancer has a special meaning for her. In 2008 her husband Frank was diagnosed with a brain tumor. Given less than 18 months to live, Maryann was thrown into the role of researcher and caregiver. Two years after his passing, Maryann received her own cancer diagnosis: invasive ductal carcinoma in both breasts. Since completing her treatments, there are no signs of cancer. Presently, she splits her time between Holbrook, NY and Montauk, NY. She enjoys writing, photography, action movies, and drives on long stretched out roads to faraway places and the many stories they carry. 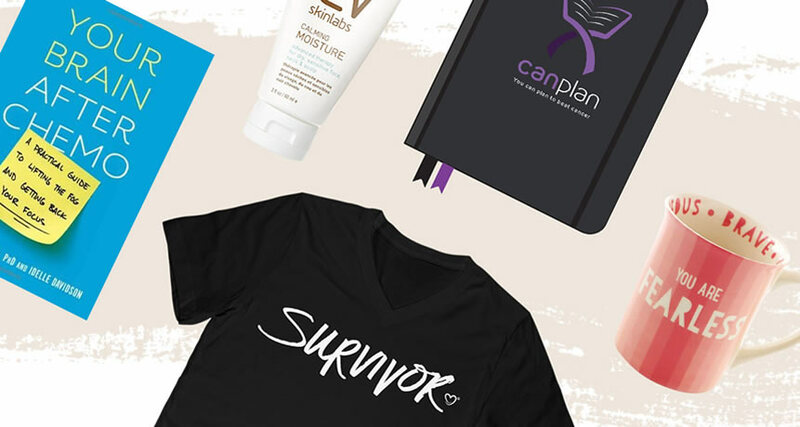 She blogs about navigating two cancer journeys and survivorship in the hopes of helping others find their way.